Business growth has proven to be one of the keys in maximizing seller returns when it comes time for selling a Florida business. 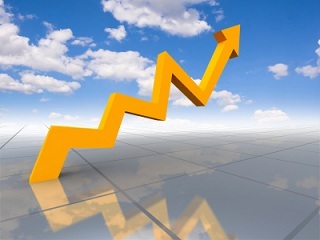 Selling a growing business in 2013 is going to be no exception, and businesses with increasing sales or those who are poised for growth are sure to come out on top. Selling, or even the process of growing a business, is a task that often requires the expertise of experienced professionals. Although there is currently a demand for growing Florida business for sale, the actual growth and sales process can be trickier than most people think. There are many reasons for this, but growth in the midst of a difficult economy, business valuation complexity, maintaining confidentiality in the sales process, and maximizing seller returns always seem to be at the top of the list. It can be difficult to accurately predict if or how much a business is going to grow, but for sellers looking to divest of their business in the future, growth and business potential become increasingly important factors. Therefore business owners, whenever possible, will want to make sure they have taken some prudent steps to ensure they are offering a growing Florida business for sale. Here are some tips you can follow when selling off your growing business in 2013. It never hurts to get some professional advice. A person well-versed with growing a business could be the best source of guidance for you as you contemplate an exit strategy and consider putting your Florida business for sale. Such experts are experienced at dealing with the ever changing market place and can point out the factors you should keep in mind, in order to keep your business moving in the right direction. Whether you are selling today or in the upcoming years, business growth can be one of the single most important factors that can determine your success and maximize the return on your business investment. When selling off a growing business in Florida, the ideal way is to manage the confidentiality of the sale through a qualified Florida Business Broker. Making a public announcement about the sale of your business is usually not something a business owner should be doing. Confidentiality can be very important for not only the current business momentum but will be important to make sure the business will keep growing under the new owner. After all, the last thing a business needs at any point in time is to show declining sales or to have any negative press that could be associated with a possible sale of the business. Last, and probably the most important thing you have to consider is the level of your involvement in the sale of the company. Are you going to exit the scene completely or stay on in some capacity? It may seem like an easy decision to make, but most people find it hard to let go of something they have been associated with for so long. If Seller financing is involved it is all the more reason to make sure you are passing on a growing and profitable business. With many buyer investment portfolios down and with the relatively low or volatile performance on various investment options seller financing on the sale of a business has become an increasingly popular win-win for both Buyers and Sellers. Sellers carrying a note on a business sale usually have no problem making sure the business is poised for growth. These are just a few of the tips you can follow if you are considering offering your growing Florida business for sale in 2013.